Dorothy Moon felt like, this time, the bill she sponsored to legalize CBD oil for medical use in Idaho would pass. Rep. Moon, R-Stanley, spoke to plenty of constituents who supported Idaho legalizing cannabidiol (CBD) oil — the oil extracted from cannabis plants containing little to no THC. They told her it could help them with diabetes, with epilepsy, with fibromyalgia. It is legal in 18 other states. "A lot of people were already using it illegally, and they were looking for a path to use it legally," Moon tells GZQ. Yet ultimately, in March, the bill failed, three years after a different bill to legalize CBD oil also failed. It's the latest development in the saga to legalize CBD oil in the Gem State, where a majority of lawmakers support the idea but have thus far been unable to make it law. In 2015, Gov. 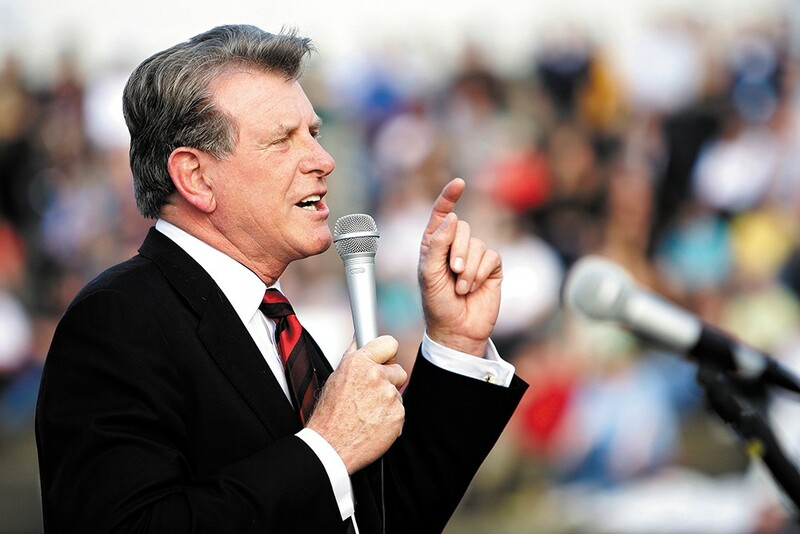 Butch Otter vetoed a bill that would have allowed parents to use CBD oil to treat children with epilepsy, saying he received pressure from law enforcement who thought it would lead to looser drug laws. This year's bill would have allowed Idahoans to apply to the Idaho Board of Pharmacy for a cannabidiol registration card to use it for themselves or children. When Moon's bill made it to the House floor, it passed in a 59-11 vote. It had 45 co-sponsors between the House and Senate, and Moon was confident that it would pass both chambers. Otter suggested that he would veto the bill, just like he did three years ago, but Moon thought the support in the Legislature would make it veto-proof. "I was very optimistic," she says. But it stalled in the Senate Health and Welfare Committee thanks to chairman Lee Heider, R-Twin Falls, who wouldn't allow it to be discussed. When a lawmaker tried to discuss it, Sen. Heider pulled the committee into an office and closed the door. There, according to audio recorded by the Associated Press, Heider shouted, "The governor's office doesn't want this bill, the prosecutors don't want this bill, the office on drug policy doesn't want this bill." The meeting likely broke the state's Open Meetings Law. Nevertheless, the bill was killed. "I work for my constituents, but apparently [Heider] works for the governor," Moon says. The original print version of this article was headlined "Veto Power"